Learning to fly does not have to be difficult, or expensive. And it's almost never too late (or early for that matter) to become skilled in the safe operation of an aircraft. You can be licensed to fly in a matter of months, if not weeks of applied study and air exercise. Toronto Aerosport Inc. has more than 20 years experience teaching people to fly and providing ultralight aircraft support for seasoned flyers and aspiring pilots. Conveniently located just north of Toronto, in the town of Baldwin, Ontario, the location is perfect for flight training and offers a relaxed environment where you can learn to fly in a ‘grass roots’ setting. 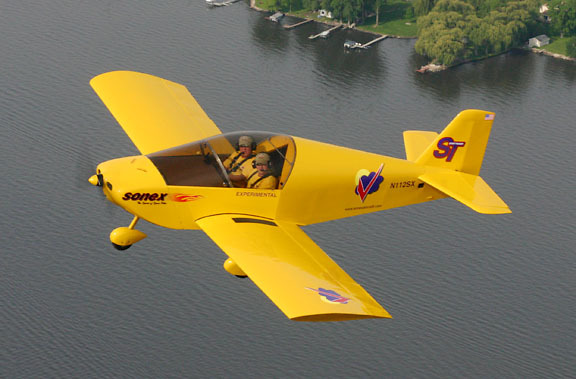 In addition to flight training, Toronto Aerosport Inc. also offers ultralight and kitplane building and maintenance, by a factory certified ultralight aircraft inspector. Check out the links on this site to learn more about the growing movement of Ultralight and Light Sport Aircraft. And if you are in the area, come and take an introductory flight to discover for yourself the freedom of flying.